An unbelievable train journey through four countries in Southern Africa. One train journey – and four African countries! Discover the incomparable diversity of sights in South Africa, Swaziland, Mozambique, and Zimbabwe. 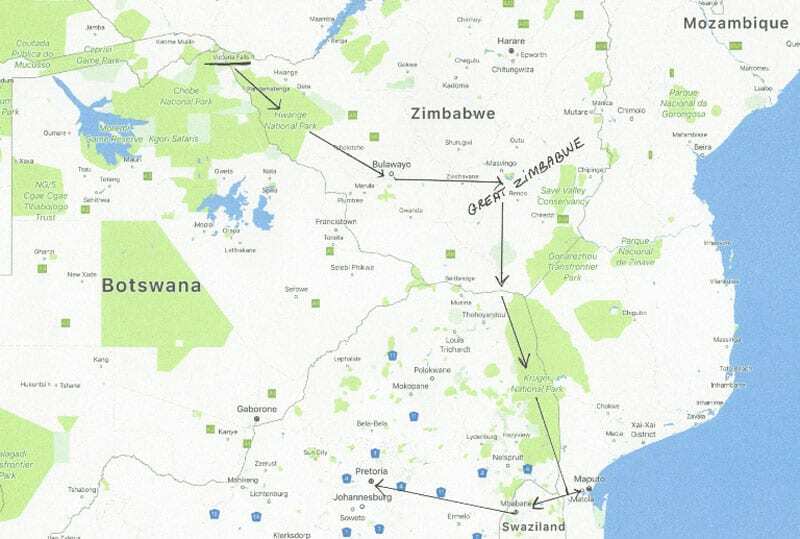 Look forward to such highlights as the legendary Kruger National Park and the Victoria Falls on the mighty Zambezi River, as well as a host of sights off the standard tourist trail, including Mozambique’s capital Maputo; also, the Matobo National Park, Zimbabwe and the ruined city of Great Zimbabwe. This private train journey takes you through inspiring and constantly varied landscapes – and all without the hassle of inland flights or having to re-pack suitcases every day. With the African Explorer usually covering long stretches of the route at night while you sleep peacefully in your private compartment, there is more time for memorable excursions during the day. Enjoy exploring the fascination of these four countries – as well as the extended wildlife safaris! The rolling stock went through a thorough renovation in 2016. The train was known as the Shongololo (centipede) and had been doing the dusty tracks of Southern Africa for years making lots of tourists very happy. 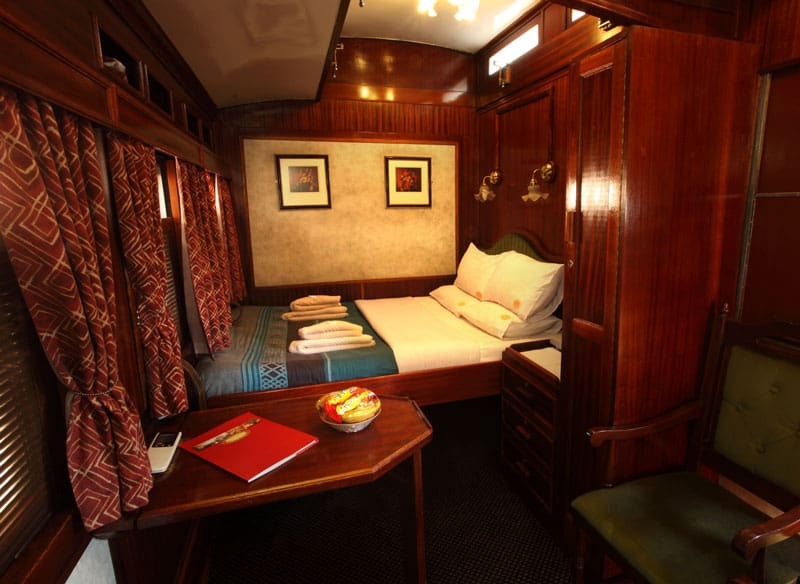 The famous and privately owned train company Rovos, named after its owner Rohan Vos, purchased the Shongololo in January 2016 and added it to its fleet of diesel and steam-powered trains. 2019 is Rovos’ 34th year of operation. Total: 14 coaches and one locomotive. Max number of beds: 30 Leopard and 50 Elephant. Windows that open with blinds and sun shades. Four-course meals and full breakfasts are served to the table in two dining cars. 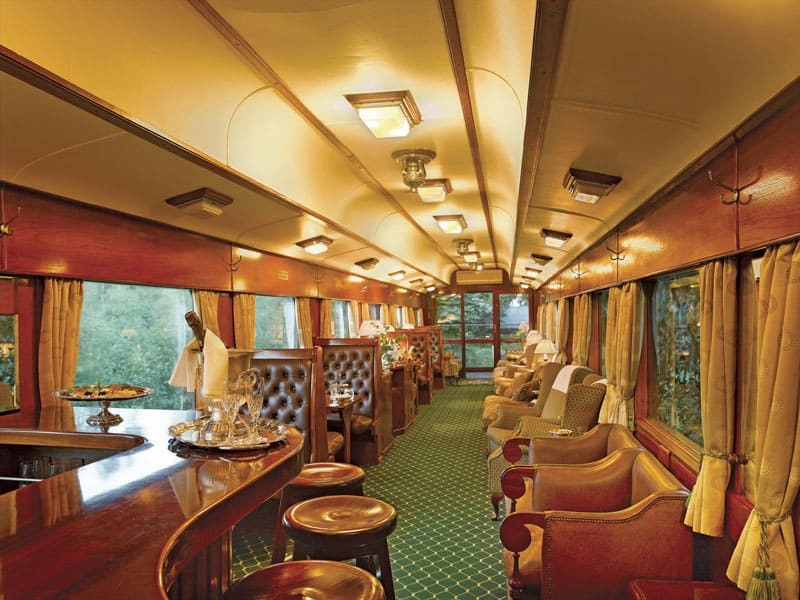 Additionally, there is a bar/observation car (the last car), which offers unobstructed views of the spectacular scenery.